Are we dodgy wheeler-dealers or does Ten-Percent Legal Recruitment really donate 10% of profits to charity without any personal gain? Q: You only donate to charity because it’s a tax fiddle – you reduce your tax by donating to charity. What a scam! A: If I had a pound for every time someone has come up with this since April 2000, when we made the fateful decision to think that society would welcome our commitment to give away some of our profits, I would have at least £10 now. No – the truth is we are just awful business people. In April 2000 we made the utterly appalling decision to donate 10% of our profits to charity every year we traded. At the time, 10% of nothing didn’t seem a lot of money. 15+ years later with bills, overheads, staffing costs, equipment and a good life to be had, it seems an awful lot of money to be handing over every year. Who said anyone can go into business? 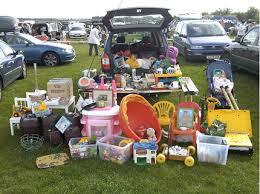 A Car Boot Sale and a Social Experiment – what happens when you offer goods for free? Us: “It really is free – just take it”. Shopper: “Hmm – I’ll think about it”. Us: “Please take it – we don’t want to have to go home with this – our garages are full”. 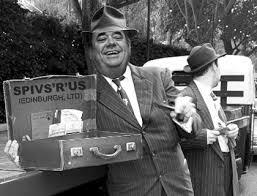 One shopper even tried to haggle – we offered him a very old laptop for free, he offered us 50p. We gratefully took it. This tale highlights the problem we have as a company donating to charity. Over the years I have had conversations with charities that have been very similar to the above. They cannot believe that a company would want to give them money with no strings attached. Life has got easier now we have a charitable trust, because the company no longer donates directly to charities but instead via the Ten-Percent Foundation and I think the charities more readily accept this form of giving. Charity Donations by a Limited Company – Surely There’s a Benefit Somewhere? The same principle applies though with the charity donations. The Ten-Percent Foundation donated some money to a local sports club in 2016 and in order to do so I ascertained from the coaches what equipment they needed exactly (we don’t assist with kit purchases for example). One of the coaches obviously thought the whole thing was one great wheeze to benefit me personally with shedloads of tax saved and suggested we bought a yacht and a new car. I laughed politely at the time, but I did think about this afterwards. Is this a reflection on society – there is a general assumption that people do not help others without there being something in it for them personally? We get absolutely no benefit on the tax side, or indeed any side, from giving away our profits to charity. Take the 2014-2015 donation for example. 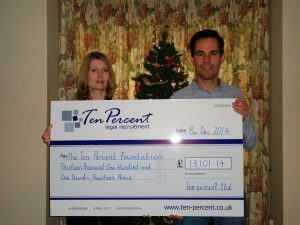 We gave away just over £13,500 to the Ten-Percent Foundation. This was calculated as being 10% of our net profits after tax for the year 2014-2015. We made a bank transfer of the money straight from our company account into the charity account (just in case anyone was thinking we diverted it via the Cayman Islands and siphoned off a chunk). The donation shows up in our company accounts as a “donation”. It is tax deductible at the end of the financial year, which means that as a company we get c.£2,700 off our corporation tax bill for the tax year. The directors and shareholders of the company get no personal benefit at all. This is the same every year. We basically get 20% off our donations through the corporation tax reduction, but it still cost us £10,800 to donate £13,500 to the Ten-Percent Foundation in 2014-2015. As a result of this there is no tax advantage whatsoever of us giving our profits to charity. 2706 bottles of red wine from Aldi at £3.99. A Bailey Pegasus 4 berth caravan for less than £11,000, the amount we spent donating to charity in 2014-2015. 48 tins of £225 caviar from Fortnum & Mason. 1993 Bentley Turbo 6.8 litre car. 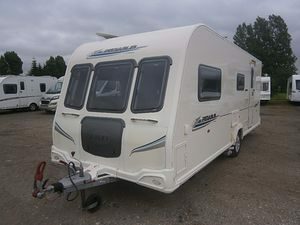 4 berth Caravan – Bailey Pegasus 2010 model. If anyone knows of a legitimate tax solution to turn our donation from being simply a philanthropic act into a carefully considered financial saving for me personally or the company, I would love to hear from them. Jonathan Fagan is the unfortunate director of Ten-Percent Legal Recruitment, who together with Clare Fagan, his wife, plus two other directors at the time, made the awful decision to give money to charity every year the company traded. To make it even harder to get out of this commitment the company was even named after the decision. To this date, Jonathan Fagan sinks into a deep state of depression every time he thinks about the lovely money he is handing over to charity and all the things he could do with it. Actually none of the above are of much interest (although an old Bentley would be great) but a new set of left handed golf clubs wouldn’t go amiss. Anyone fancy donating me a set? Clare and Jonathan Fagan with our donation for 2013-2014 posing for the camera – we tried to get the local newspaper to run the story but they weren’t interested! Oh well – it wasn’t the most flattering picture!